Thomas Bordonné received his Engineer degree from ECM (Ecole Centrale Marseille) in 2015. At the same time, he received a Master degree in Acoustics from the University of Aix-Marseille II, Marseille. 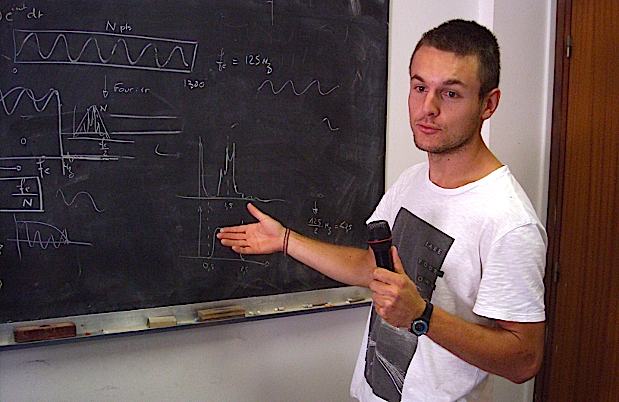 He is currently a P.H.D student in the Laboratoire de Mécanique et d’Acoustique (LMA), in Marseille, studying the intuitive control of sound synthesis by the vocal signal. His work is related to various fields, such as signal processing and sound synthesis, speech processing and auditory perception.